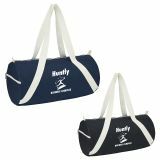 Custom duffel bags hold excellent branding potential and storage space and make useful promotional gifts to your customers and employees alike. 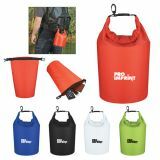 Hand these out at trade shows and outdoor promotional events to make your brand popular. 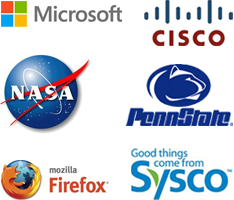 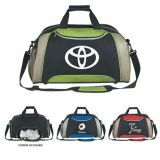 People will surely love to use it every day for its functional features and style and let the brand image go up. 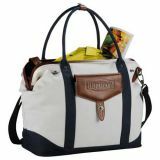 ProImprint has an extensive collection of custom Duffel bags of all possible colors, patterns and sizes offered at the best prices! 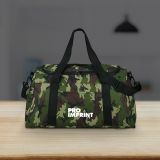 We even offer free proofs and free artwork assistance on your order! 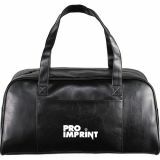 ProImprint ensures 100% price match guarantee and attractive discounts on bulk purchases. 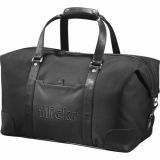 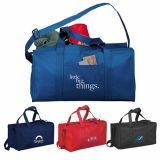 Personalized duffel bags make great billboards for your brand. 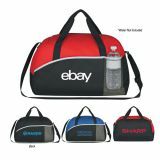 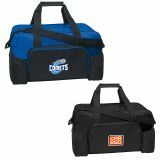 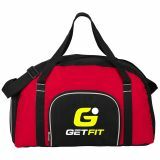 Imprint your logo on these promotional duffle bags and see your brand getting noticed in gym locker rooms, beaches, sports fields and lunch rooms. 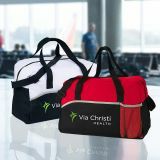 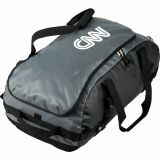 If you want to make your brand show up everywhere, personalized duffel bags will be good options. 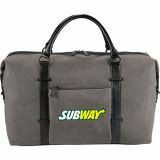 Just add your brand logo so that everyone on the street will notice your brand. 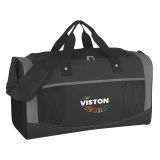 Logo imprinted duffel bags are great promotional ideas to promote gym, dance schools, sports leagues, beach hotels and many others. 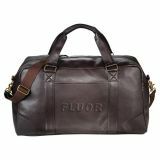 Spacious enough for all their locker room supplies and travel items, these custom duffel bags qualify as airline bags as well. 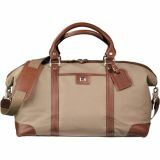 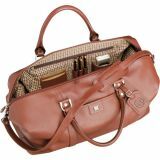 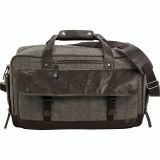 No matter whether on a business trip or holidays a duffel bag will be a good option to consider. 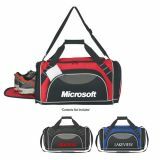 The best part is that every time, this stylish bag is put on parade by the users your brand visibility will go up in a spin! 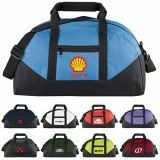 Give away this functional and fashionable bag to your customers, employees or business partners and watch the heads turn every time they use it to give your brand the appreciation it deserves. 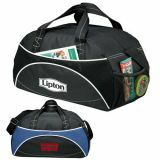 Custom duffel bags can be used as employee gifts or for company softball team and the attention that it brings to your brand and your team will be something truly spectacular. 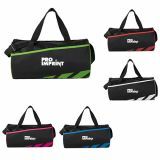 People will love these smart and snazzy bags on a day out in the gym, weekend picnics and short trips. 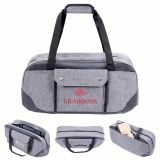 It is impossible for them not to talk about these stunning bags to their friends during camping trips and vacations which will add up to your brand popularity. 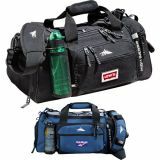 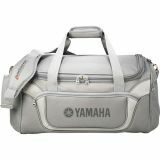 ProImprint has a wide range of duffel bags in various sizes and fabric choices with useful features like adjustable straps and side pockets and come in just about any shade you need! 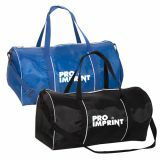 No matter whether you need to promote your sports goods store, bookstall, sports league, gym or anything you could think of ProImprint will make a handy one stop shop for all your custom duffel bag needs. 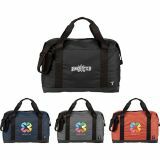 Choose the one that suits your tastes and brand image and if the bountiful collection is making you a bit baffled, just call us at844-776-4677 or email us at info@proimprint.comand we can help you choose the best options.